Thinking deep into the reflective eye, bringing a universal state of mind. 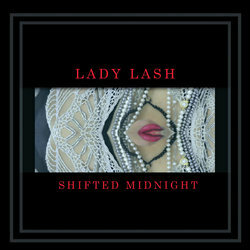 Lady Lash has life stories with introspective thoughts, cryptic rap riddles that ignite ethereal vocals into another realm which are rarely all completely absorbed in the first listen. The soulful lyricist has grind ethics towards hip hop and has spent many years hustling her skillful flow for crowds. The spiritual insight Lash brings to her music is that of a strong Kokatha/Greek Woman from the West Coast of South Australia. Supporting amazing artist over years and receiving numerous music awards, her positive jazz melodies infused with sultry rhymes bring an essence of modern street poetry. Lady Lash has come into her own as a microphone fiend and loves to capture hearts with powerful visions and vocals that push boundaries in profound ways. 'Shifted Midnight' evokes the power of the dusk, the provocative dark goddess who howls at the moonlit skies.